In-The-Ear (ITE) hearing aids house electronics within a custom-made acrylic shell that fills the entire bowl shape of the ear and part of the ear canal. They are typically the most powerful of the in-the-ear hearing aids and are able to fit many beneficial techonologies in them because of their larger size. In-The-Canal (ITC) hearing aids house electronics within a custom-made acrylic shell that fills approximately half of the bowl shape of the ear and part of the ear canal. Recent advancements and technology miniturisation have meant that an ITC can usually match the power and technology of the larger ITE. Completely-In-Canal (CIC) hearing aids house electronics within a custom-made shell that fills only the ear canal. Cosmetically the hearing aids are very good and can only be seen if looking closely at the ear. However, because there is a focus on miniturisation for these hearing aids, they often need to extend far into the ear canal to fit all of the components in, which can be uncomfortable for some people. Furthermore, CIC’s are unable to fit some device features that are commonly seen in standard size hearing aids, such as a directional microphone and telecoil. Invisible-In-Canal (IIC) hearing aids are similar to CIC hearing aids. A custom made shell houses the electronics of the hearing aid, however it is seated very deeply in the ear canal so that it cannot be seen, even if looking directly at the ear. IIC hearing aids often have air vents in them to allow for more natural hearing and comfort. They are not suitable for people with poor sight or manual dexterity because of their very small size. Lyric hearing aids are also invisible and are disposable hearing aids that are designed to last up to 4 months of continuous use. After this time they are thrown away and replaced. 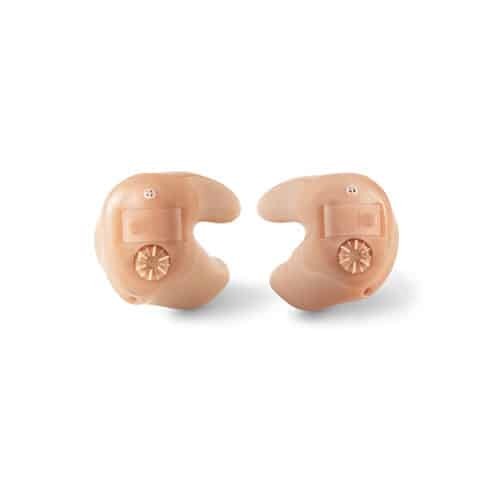 These hearing aids are usually bought by way of a yearly subscription and are non-surgically placed deep into the ear canal by a hearing professional. 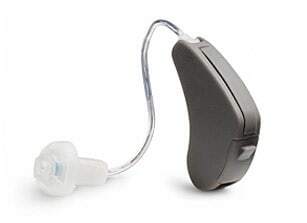 The benefit of these hearing aids is that they do not have to be handled by the client at all. Behind-the-Ear (BTE) hearing aids house electronics within a standard size casing that sits at the top of the ear where the ear meets the head. Standard size BTE hearing aids are often very robust and are capable of housing many different hearing aid features. These hearing aids are often quite comfortable and less prone to whistling than their ITE counterparts. Standard BTE hearing aids may require a custom made earmold to be made to couple the sound from the hearing device into the ear. 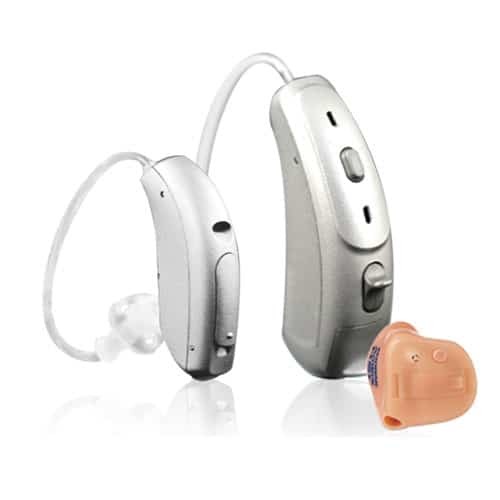 Open-Fit BTE hearing aids house electronics within a standard or small size casing that sits at the top of the ear. Open-Fit BTE hearing aids are often just as robust as standard BTE hearing aids with the same features and benefits. As the name would suggest, slim-tube hearing aids have thinner tubing leading from the hearing device into the ear, making them more cosmetically appealing. Receiver-In-Canal BTE hearing aids house most electronics within a small size casing that sits at the tops of the ear however the receiver (or speaker) of the hearing aid sits in the ear canal portion of the hearing device. The receiver and the rest of the hearing device are connected via a thin wire cable that sits within a slim-tube. Having the receiver in the ear canal portion of the device allows the rest of the hearing device to be significantly smaller than a standard or open-fit hearing aid. RIC hearing aids may have slightly increased sound smoothness and clarity when compared to standard or open-fit BTE’s, however they may also be more prone to breakdown.